Collagen is a primary protein of connective tissue. 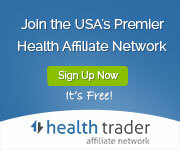 It is the most abundant protein in our body, comprising about one third of total protein. Studies have documented that ingested collagen peptide exhibits its effects on health and beauty through mechanisms unique to collagen peptide. About one third of the amino acids in collagen are glycine. Collagen also contains relatively large amounts of proline and hydroxyproline. Glycine is known to have a number of biological activities. Collagen has unique properties that are not found in other proteins, with its effects on skin, bones, joints, muscle, hair and nails. 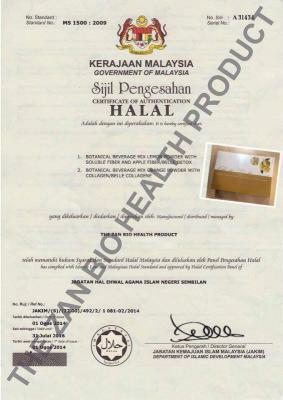 It has long been used all over the world in a wide variety of health food, medicine and beauty products. Belle Collagène premium grade granulate collagen peptide is manufactured using the latest technology and strictly controlled processes. 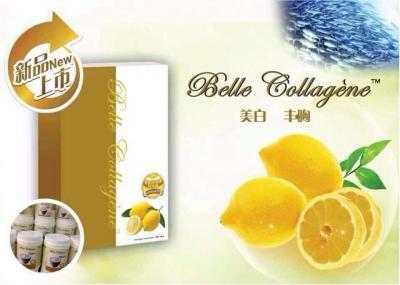 Belle Collagène high-Quality collagen peptide gets high reliability with its pure and stable qualities and has earned the high regard and trust of its users, allowing the ingestion of amounts sufficient to realize actual effects on health and beauty. 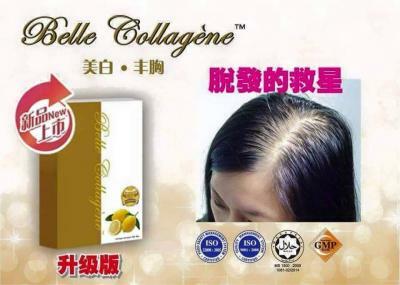 Belle Collagène is 100% natural, contains no artificial sweeteners, flavourings, or additives. 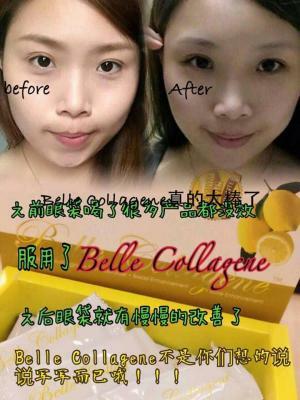 Stay Young, Health & Beautiful with just a teaspoon of Belle Collagène every morning. 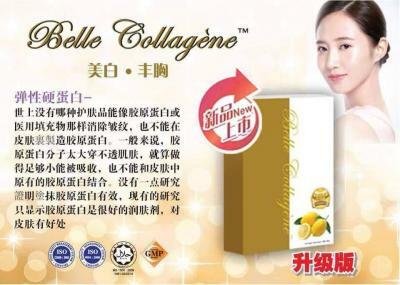 Belle Collagène is 100% Collagen. It is odorless and safe to drink. Pregnant or nursing mom can also drink Belle Collagène. 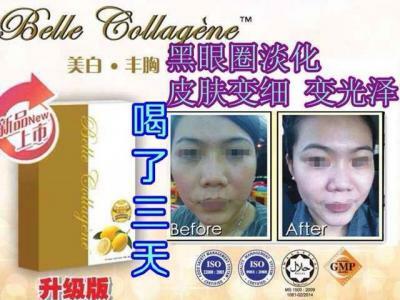 1 )Q: How long will one need to take Belle Collagène in order to see results? seven days. Your skin will become moist, clear and smooth. 2) Q: Will drinking Belle Collagène cause any side effects? Drinking Belle Collagène will not have side effects. 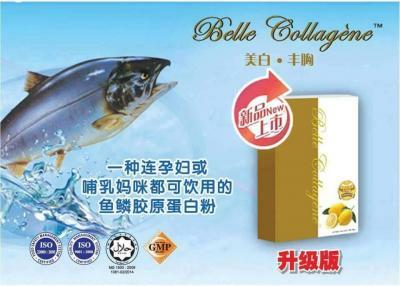 A: Belle Collagène contains 100% French pure and high quality marine fish scales and original protein without adding any other ingredients or preservatives. It has it's original flavor and it is odorless. 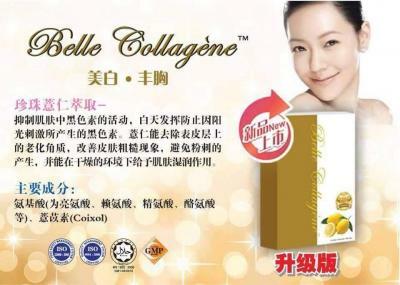 4) Q: How to drink Belle Collagène to get the best results ? A: You may drink only a teaspoon of Belle Collagène and it will give the desired effect. 5) Q: Will drinking Belle Collagène increases the weight ? A: Belle Collagène is a low-calorie and fat-free beverage, therefore it will definitely not cause weight gain. Drinking Belle Collagène on a long-term basis will also not cause weight gain. 6) Q: What is the best time to drink Belle Collagène ?
. Our body has the strongest absorption power in the morning after we awake from a good night sleep. 7) Q: What is the difference between Belle Collagène raw protein with others ? Therefore, it is absolutely natural pure. Belle Collagène has no flavor, odorless smell, and safe to drink. 8) Q: Can I drink Belle Collagène while taking other medication at the same time ? A: Belle Collagène uses ingredients that do not in react to any known medication. However, if you are taking other medication, fasting morning before drinking Belle Collagène every one minute before taking medication. 9) Q: If I stop drinking Belle Collagène will rebound effect ? A: Stop drinking Belle Collagène will not have rebound effect. 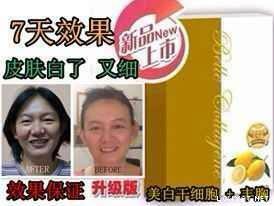 However, our bodies lost original protein everyday and if you do not drink Belle Collagène for long-term, it will lead to aging because of natural aging process. 10) Q: Who is suitable to drink Belle Collagène ? A: Belle Collagène suitable for women, men, the elderly, children, pregnant women and even the breast-feeding women. Children five to ten-year-old only need to take half a teaspoon of Belle Collagène.